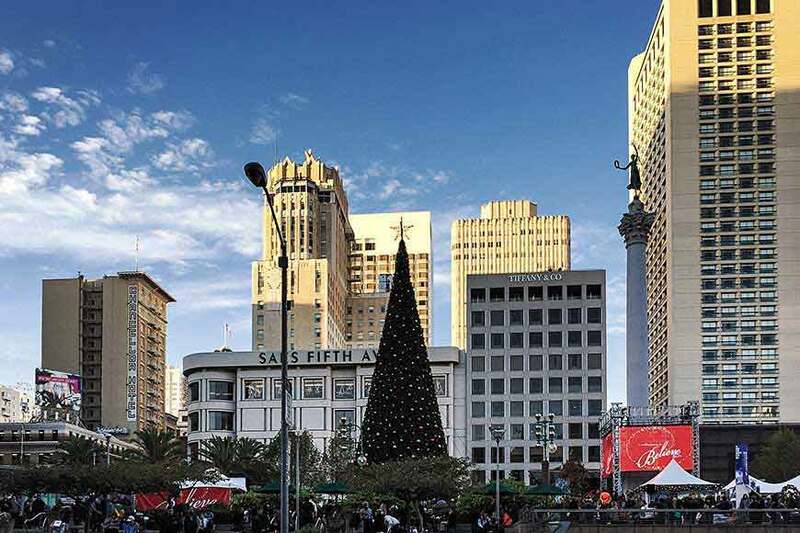 Macy's gift to the City of San Francisco - Macy's 29th Annual Tree Lighting will take place in Union Square Park between Sutter & Geary streets and Powell & Stockton Streets, right across from the front of Macy's. 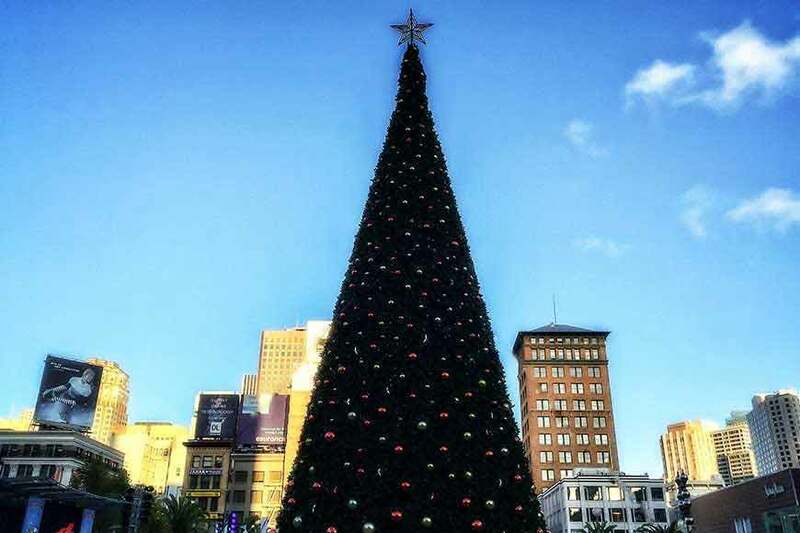 The beautiful and reusable tree will be decorated with more than 43,000 twinkling energy-efficient LED lights and 700 shining ornaments. 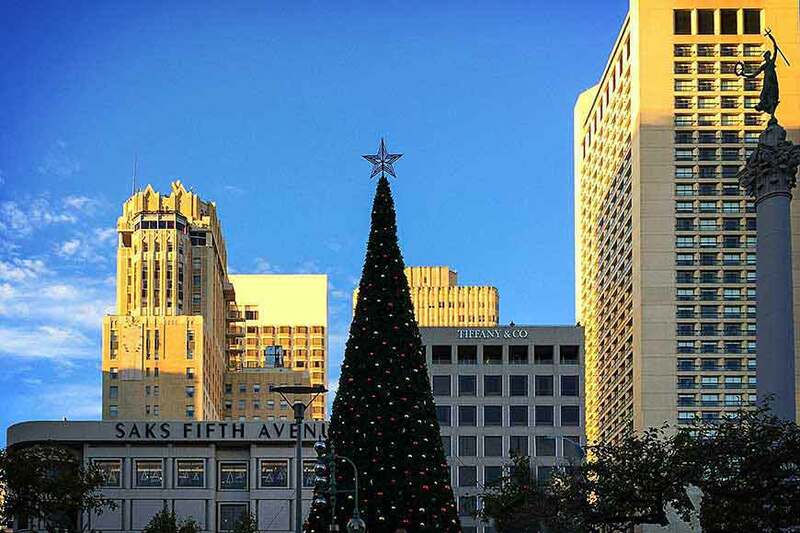 San Francisco's most recognized Christmas tree will be lit at the end of the ceremony, around 6:50 p.m. Enjoy live performances by American Conservatory Theater's renowned Young Conservatory, the Grammy award-winning San Francisco Boys Chorus, Oakland Interfaith Gospel Choir, the cast of San Francisco Playhouse's Mary Poppins, and Rock & Roll Hall of Famer and music legend, Darlene Love. Join everyone with Santa for the countdown to light the tree! MACY'S CARDHOLDER TREAT - WARM BLANKETS! *One per cardholder. First 150 cardholders, while supplies last. It's a great day for Christmas shopping as many sales are geared to this special day - Black Friday. 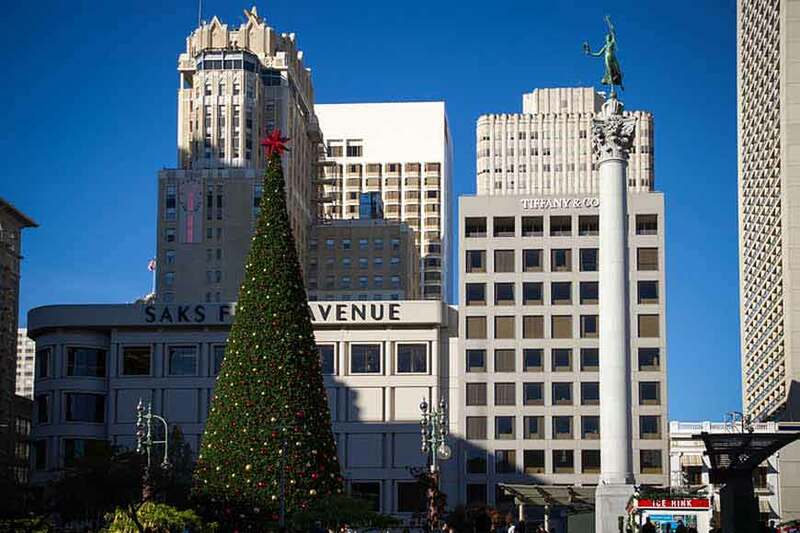 Those inspired by Macy's Great Tree in Union Square can visit the festive Holiday Lane on the seventh floor of Macy's Union Square to see the lavishly decorated Christmas trees, thousands of ornaments and other embellishments for the home. For the best viewing location, stop by Union Square early to stake out your spot. One tip is to manage to get a spot at the Cheesecake Factory - top of Macy's which looks down over Union Square. They have outdoor dining with heat lamps and the view to the ice rink and skaters is spectacular. The ceremony is expected to begin at 6pm and the tree is scheduled to be lit at 6:50pm. The holidays would not be the same without a trip to see Santa. Old St. Nick will listen to holiday wishes and be available for portraits in Macy's Santaland®, also on the seventh floor, starting Friday, November 23 through Sunday, December 24. Macy's, the largest retail brand of Macy's, Inc. delivers fashion and affordable luxury to customers at approximately 670 locations in 45 states, the District of Columbia, Puerto Rico and Guam, as well as to customers in the U.S. and more than 100 international destinations through its leading online store at macys.com. Via its stores, e-commerce site, mobile and social platforms, Macy's offers distinctive assortments including the most desired family of exclusive and fashion brands for him, her and home. Macy's is known for such epic events as Macy's 4th of July Fireworks and the Macy's Thanksgiving Day Parade, as well as spectacular fashion shows, culinary events, flower shows and celebrity appearances. Macy's flagship stores – including Herald Square in New York City, Union Square in San Francisco, State Street in Chicago, and Dadeland in Miami and South Coast Plaza in southern California – are known internationally and are leading destinations for visitors. Building on a more than 150-year tradition, and with the collective support of customers and employees, Macy's helps strengthen communities by supporting local and national charities giving more than $54 million each year, plus 180,000 hours of volunteer service, to help make a difference in the lives of our customers.